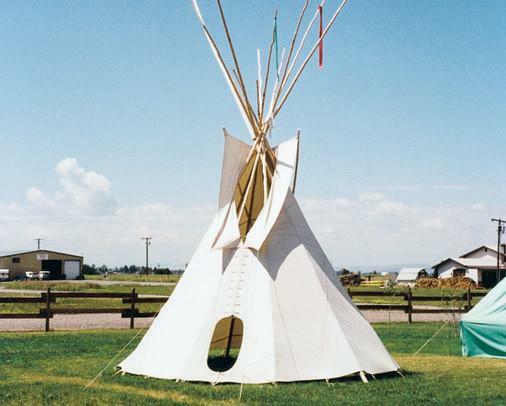 You won’t find a more authentic Sioux-style tipi unless you create one by hand. 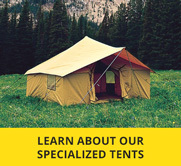 The tipi’s design sheds the rain, snow and withstands high winds making for a comfortable, roomy and well-ventilated space. The smoke flaps are adjustable. For optimum performance, we recommend adding a liner. 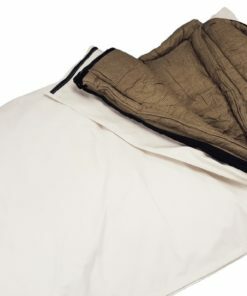 Tipis are only available in our 10oz treated natural color canvas. 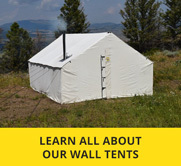 Montana Canvas does not provide poles for the 14′-20′ tipis. Please contact a local log home manufacturer for poles if you are looking for an authentic look.